Private coaching lessons are important to refining your dance skills. Individual personalized attention given in a private coaching session helps drastically improve your technique, musicality, partnering skills, dance vocabulary, library of moves and ability to create them on the spot, and movement tailored to your body, which will give you the confidence to dance well in any situation with even more enjoyment than you experienced before. Or, you may be looking for a private coaching for a special celebration or event! In a private coaching, you choose the dance(s), with the advice of a professional, because these types of lessons are tailored to suit your interests and needs to accomplish your goals whether that’s to be a fabulous social dancer, a performer, or a competitor. You are also welcome to bring a partner at no additional charge! We want to make sure you are matched with the instructor that is the best match for your needs and someone you’re really going to enjoy your coaching time with. The coach must also accept you to their roster / to take lesson(s) with them. We are happy to offer multiple styles of instructors for your learning benefit and budget! Be sure to have a quick chat with us to help you find the right fit.  Quickest way to do that is to email info@studio6ballroom.com or text (253) 905-5301 with details and clues that can help us match you. You can also request a lesson online through our self service booking site – please be sure to add those details, requests, and clues in the “notes” box when you do this. Remember! If you need to change your lesson, you must call 48-hours in advance to avoid being charged. This policy is very important because it gives us time to re-book the instructor with someone on our waiting list. New to dance? Don’t forget to check out our “Getting Started” page first for a special discount to kick start your learning! Can be booked online! Welcome to email, text, or call (253-905-5301) for assistance, we love personally helping to make sure it is a mutually good fit. For private coaching rates for our various styles of dance offered, please refer to the instructor’s page for the style you are interested in. For private coaching rates for yourself or you and a group at a different location, please contact us for more specific details. Prices are for up to 2 people. For more attendees, simply add $10 per person for the 3rd, 4th,…person. Each “Private Coaching Lesson” session runs 45 minutes. Multiple sessions can be run back to back (1 & 1/2 or 2 for example…1/2 with permission of instructor). Lesson payments are to be made prior to scheduled appointment before appointment can be reserved and confirmed. Payments can be made in person by credit card or cash or online from our web site using your credit or debit card for a small convenience fee and must be made to complete your reservation. Just as any other professional service…If you cancel your appointment within 48 hours of your lesson time, or do not attend your lesson, you are still responsible for the instructor’s time for which they were unable to fill with another client; you will be billed for the full session scheduled.